Daniel Ricciardo has never won in Monaco, and he’s never won a race from pole position, either. That is, until today. The Australian ace absolutely dominated the streets of Monte Carlo all weekend, leading every session and every lap of the race to come across the finish line several seconds ahead of Ferrari driver Sebastian Vettel, with Mercedes and Lewis Hamilton rounding out the podium. It wasn’t all easy going for Daniel, however, as he ran at least two thirds of the Grand Prix with a hybrid system failure, down significant horsepower and at least 20 kilometers per hour on the main straight to the competition. Admittedly, it is quite difficult to pass on the narrow streets of Monaco, and it would have been nearly impossible for a driver down on power to win at any other track on the calendar, but it happened and it happened here. This is why the race is run, and this is why someone with a Goonies-never-say-die attitude like Ricciardo is a fan favorite. Well, that and shoeys. It looked like Vettel would be able to close up the gap for a while on fresh tires, and made a couple of efforts to pass for the lead under DRS on the front straight, but was never really close enough to make anything stick. 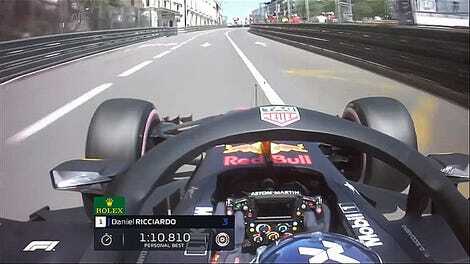 According to a report from Motorsport.com, Ricciardo says he finished the race with just 6 gears after a complete hybrid system failure, meaning Daniel’s Red Bull was down around 160 horsepower to the trailing Ferrari. If a driver can make the race victory while running the majority of it with a sick engine, he’s the real deal. Congrats to Daniel on his first Monaco GP victory. It likely won’t be his last. Other interesting news throughout the race, included a run from the back of the pack for Ricciardo’s teammate Max Verstappen. Verstappen had smashed the wall in qualifying, necessitating a full rebuild, and started from the back of the grid. Because the Red Bull chassis proved quite good at Monaco, he was then in a fight to finish with a result of any kind. 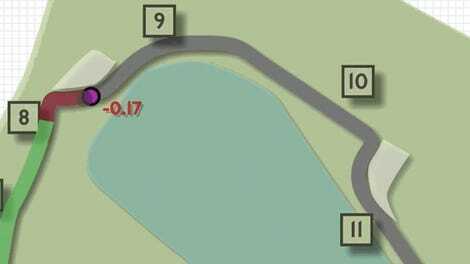 He managed to fight his way up to 9th, aided by a trio of DNFs from cars ahead. The first of those DNFs was Fernando Alonso, whose engine failed him again during a nice battle with Pierre Gasly for 7th. 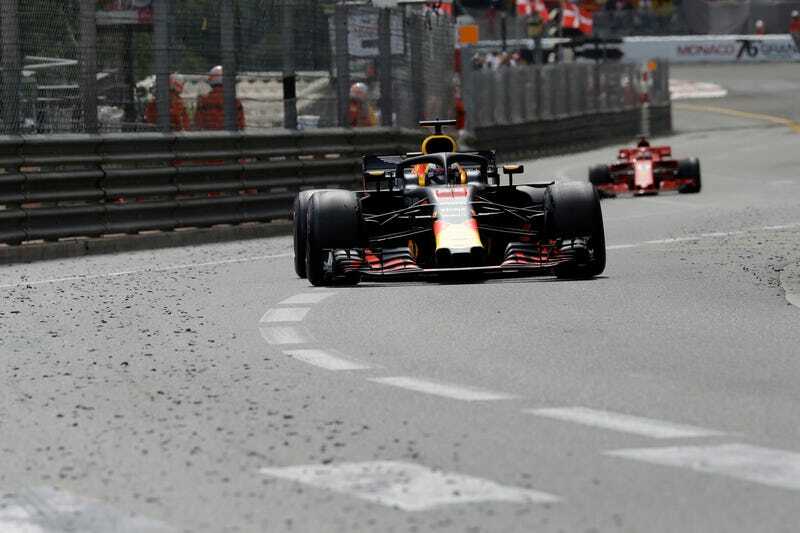 The second and third failures happened simultaneously, as Monegasque driver Charles LeClerc suffered a terminal brake failure while diving down the hill from the tunnel toward the Nouvelle Chicane. The failure saw his Sauber bounce into the wall, and slide headlong (below) into Brendon Hartley’s unsuspecting Toro Rosso. Hartley’s car continued on, but with a precariously dangling rear wing, the car was retired from the race. Season points standings remain with Lewis Hamilton at the top, but both Ricciardo and Vettel have made inroads today, closing that gap.